They outscored the Rebels, who are top of the Australian conference, by five tries to three for a 41-24 victory to move to fourth in the South African Conference. With their Coach Robbie Fleck’s head seemingly on the block, the Stormers played as a unit and were superb in all departments. Wing Dylan Leyds was perhaps the best of the lot on the night. Some fancy footwork and lightning speed saw the 26-year-old slice through the Rebels defence to score the first try for the visitors. 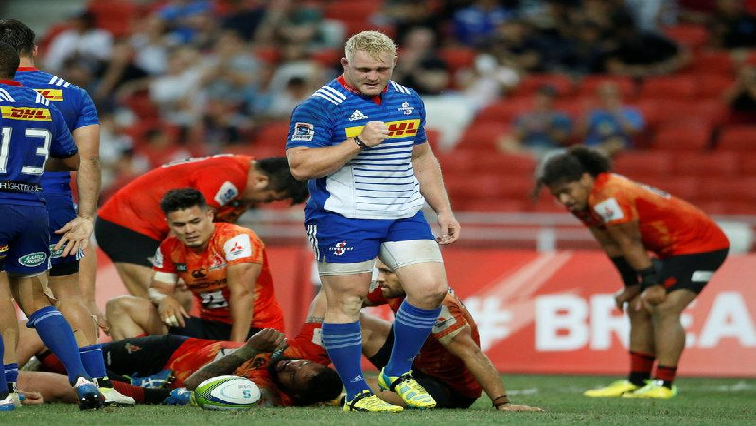 The hosts threw the kitchen sink at the Stormers as they sought to level matters, but their defence was another outstanding aspect of the Stormers play on the evening. The Rebels came close when wing Semisi Tupou failed to capitalise after Quade Cooper’s inch-perfect cross-kick found him it the right corner, but Tupou spilled the ball into touch with Sergeal Petersen lurking. The visitors led by 10 points to three at the break. The Rebels had a brilliant start to the second half. Reece Hodge intercepted a long loopy Jean-Luc Du Plessis pass after Will Genia had kicked a long ball up-field with Hodge scoring a try, but the Stormers responded with three tries in 10 minutes to lead by 31 points to 10. The visitors twice managed to break through the Rebels’ defence on the left flank with Juarno Augustus scoring his first Super Rugby try before Damien De Allende also scored. Ruan Nel added to the Rebel’s demolition pouncing on a ball after a Rebels’ defender had spilled it, to also score his first Super Rugby try and extend the Stormers’ lead to 29-10. Two late tries by Genia and Campball Magnay reduced the deficit for the Rebels and gave their fans some hope of a late comeback. But with the Rebels on the attack, Nel intercepted and sprinted away to score his second try of the match and complete a 41-24 victory. “I think the Okes were really fired-up and they put their bodies on the line tonight. I think it’s an unbelievable effort and the Okes really performed tonight,” says Steven Kitshoff, who was the Stomers stand-in captain. The Stormers will now return to South Africa and will play another Australian side, the Brumbies, at Newland in Cape Town next weekend. The post Stormers end Australasian tour with a win appeared first on SABC News – Breaking news, special reports, world, business, sport coverage of all South African current events. Africa's news leader..